Baroque Violinist Ute Marks lives in Atlanta, Georgia, but is a native of Germany, having grown up in the state of Saxony, where the cities of Leipzig and Dresden are central to the history of Baroque music. Ms. Marks came to Georgia State University in the mid-1990s to study with violinist Oliver Steiner, then returned to Germany to complete Masters degrees in both Music Education and English and American Studies at Humbold University in Berlin. Moving back to Atlanta in 1997, she met up with fellow German early music specialist and cellist Eckhart Richter, Professor Emeritus from Georgia State, and established her career as a Baroque violinist. 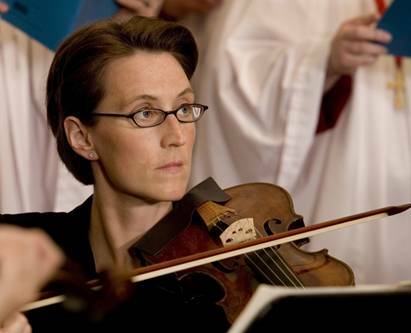 Ms. Marks is also a member of Atlanta Baroque Orchestra while performing with Dr. George Lucktenberg and other ensembles in the Atlanta area.